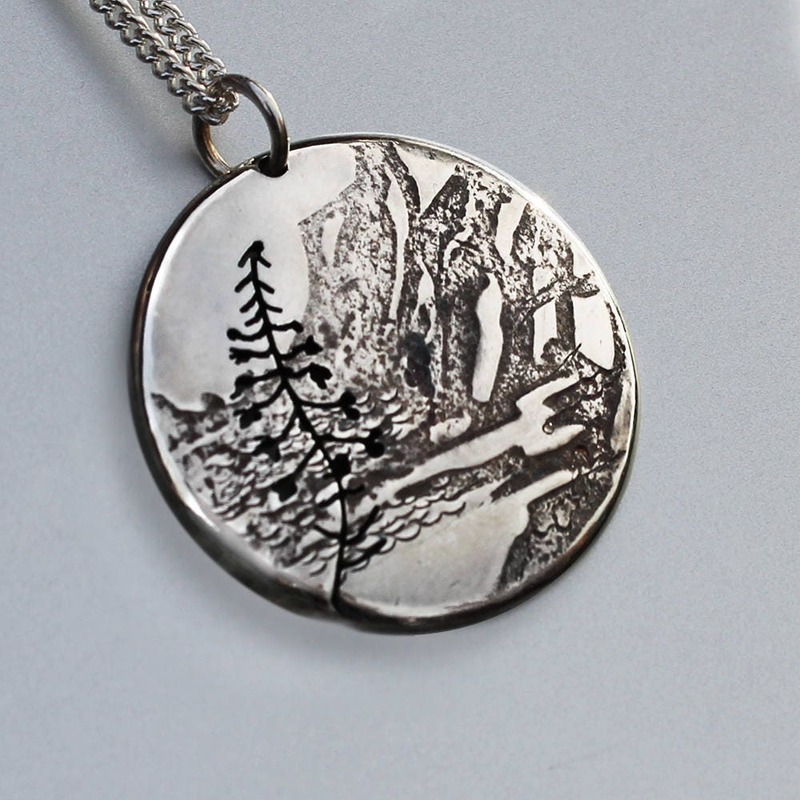 Cave Mountain Pendant, Fireweed Silver Pendant, Silver Jewellery, mountain jewellery. 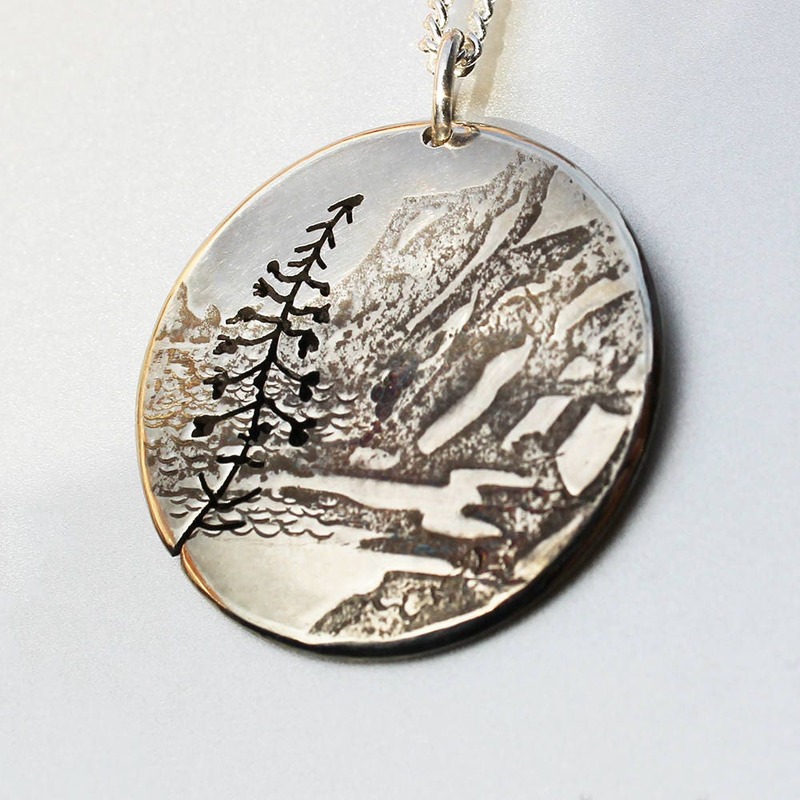 Sterling silver Fireweed pendant. 'Cave Mountain Pendant'. 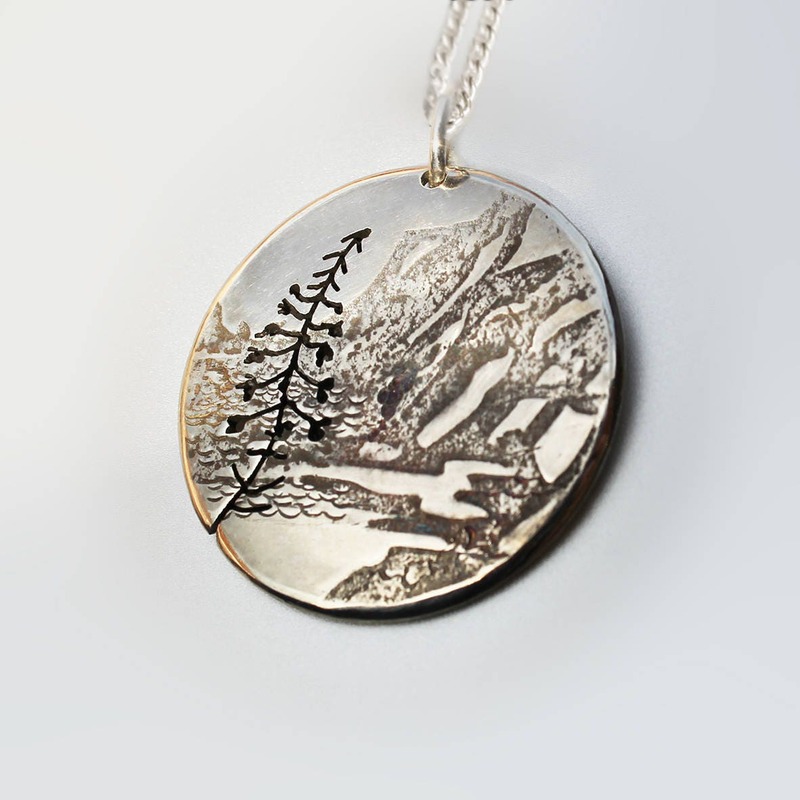 Majestic serene mountain landscape pendant with a secret cave. A fireweed waves in the breeze as water sparkles beyond. The mountain scene changes with each new angle of light in the way that mountains change character dramatically when suddenly bathed in sunlight. Raised detail, selective burnishing and recessed oxidisation enhance this gently domed pendant. Using a jewellers bench saw with a very fine blade, I cut the design. Made to order just for you, there will be slight variations in colour and detail. This is the charm of handmade jewellery. 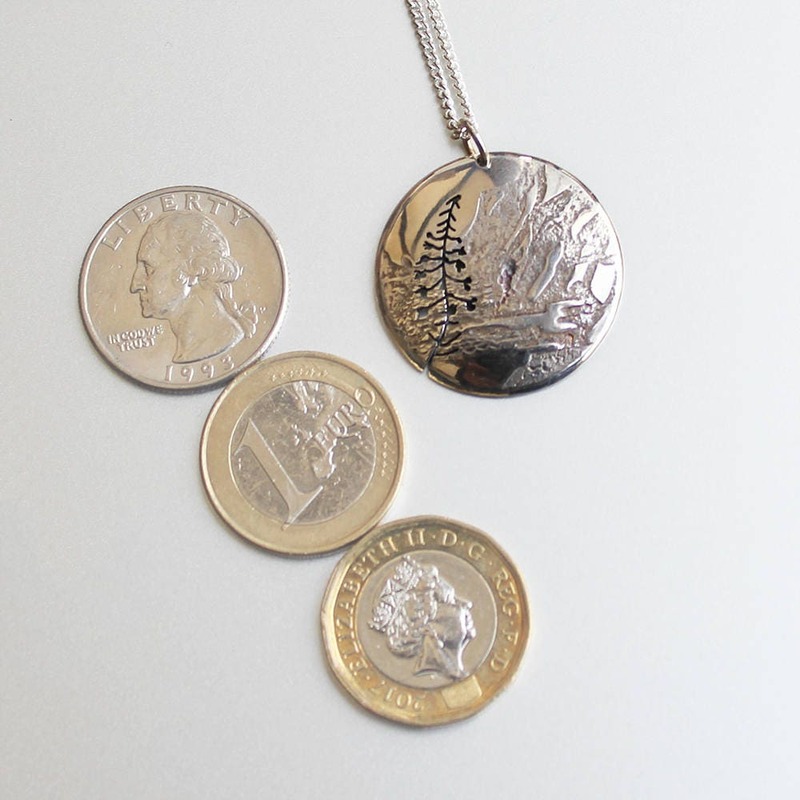 The pendant measures 2.8cm (just over one inch) in diameter. You will receive your jewellery in elegant presentation boxes. Please select a chain and length from the drop-down menu. Sterling silver Rope chain and black leather necklets are hand finished to any length. All jewellery will be posted by Special Delivery with Tracking Number, to be signed for on receipt of the parcel. Usually the processing time is 3 to 5 business days. This includes custom pieces recreated from the original design shown in the photographs. My designs are made to order with slight variations. This is the beauty of handmade jewellery. Each piece is unique. Do you have an idea for something special for yourself or someone you love? Why not commission a piece of jewellery... I will supply design illustrations for your approval. When a price is agreed for your commission I will post the reserved listing for you to add to your cart. I will then make the commission, with updates within an agreed timescale. Please select a chain and length from the drop-down menu. Curb chain and black leather necklets are hand finished to any length. It is easier to prevent tarnish on your sterling silver jewelry than to remove it after it occurs. Silver stored in a box will stay brighter. It's a good idea to take off your jewelry whilst using cosmetics and toiletries. 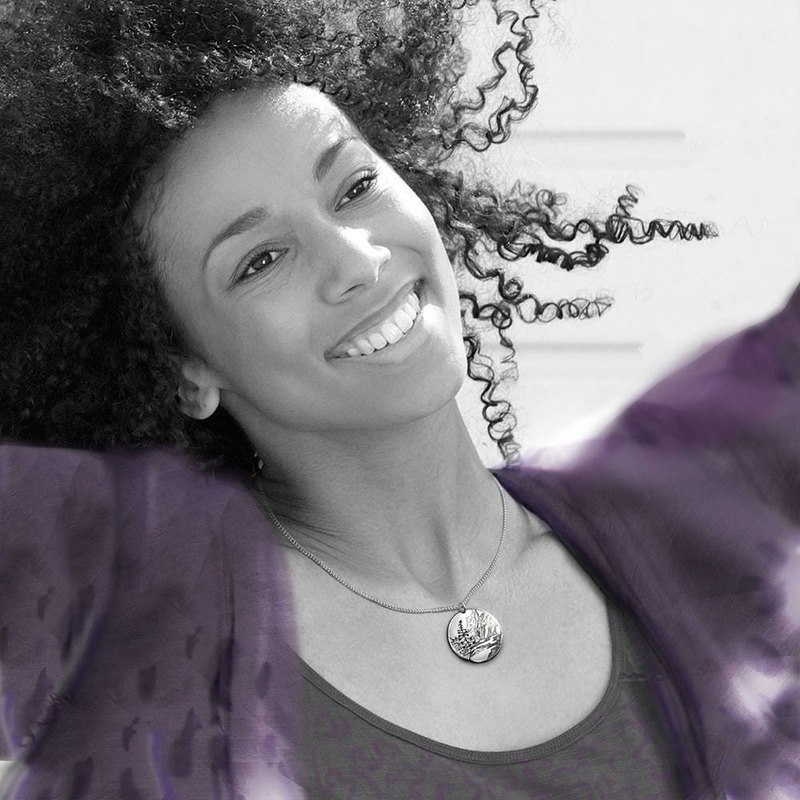 Perspiration can cause tarnish, so a rinse under the tap after wear and a gentle pat dry can freshen your jewellery. You can clean your jewellery with washing up liquid, water and a soft toothbrush. Gently pat dry with a soft cloth. Silver polish/dip or ultrasonic can remove dirt and tarnish but please avoid areas which have been hand patinated i.e. coloured or darkened. Please contact me here if you have any further questions. I am happy to help. All jewellery comes in a sturdy box ready for gift giving. 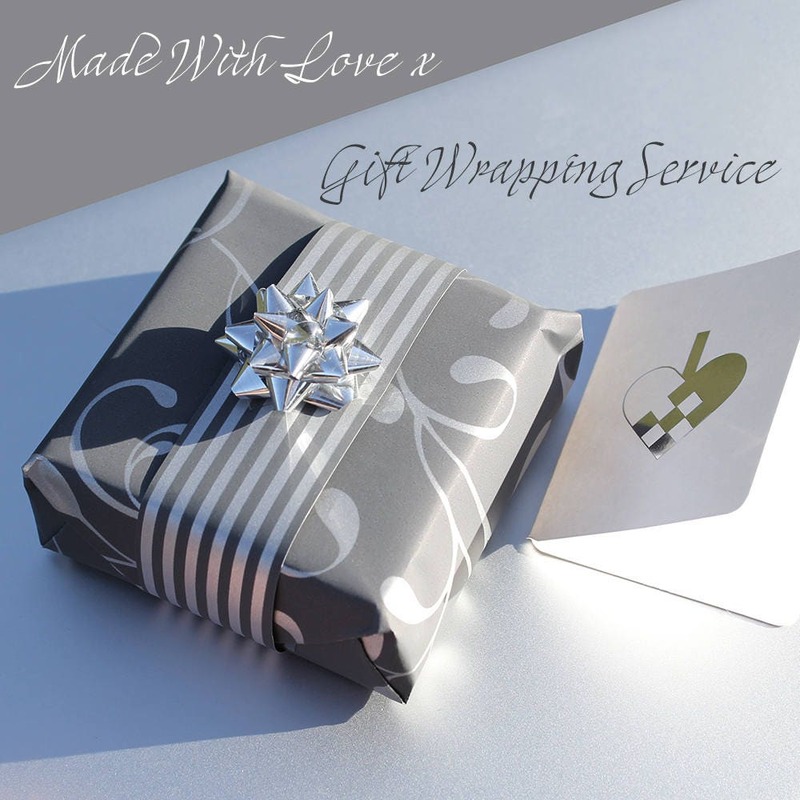 If you are sending or presenting your gift directly, you can order gift wrapping. Why not include a greeting? Leave a note with the wording when you place your order. When you 'mark as a gift' I will not include any receipt in the parcel but you can still download your receipt. Parcel Lost in the Post? When Can I Claim? In the rare event of a parcel being lost in transit I will issue a full refund when I am able to claim compensation. Royal Mail accept my claim for loss after at least 20 working days (for items posted to countries within Europe) or 25 working days (for items to the rest of the world) have passed from the due delivery date. All claims must be submitted within 6 months of posting the item. Please enquire for wholesale prices.